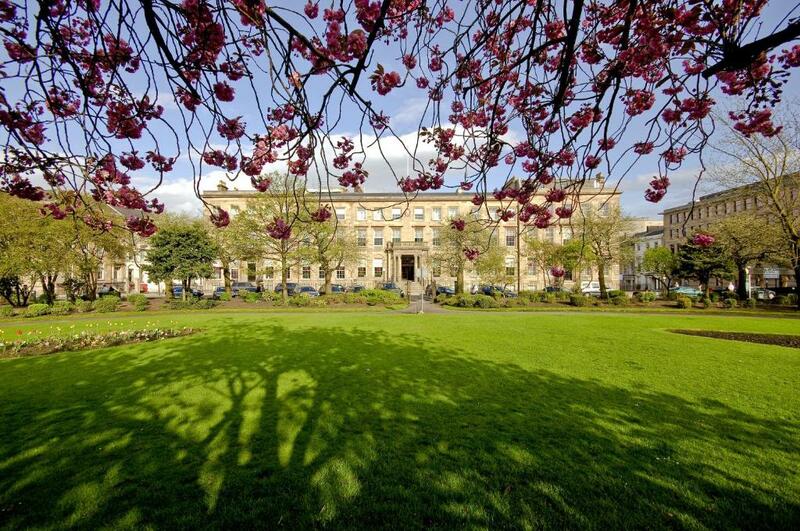 Lock in a great price for Blythswood Square - rated 9.1 by recent guests. Room was good but outlook from the small window was very poor overlooking the air conditioning units and lots of debris in the roof gutters. The room was a great size with a lush bathroom and an extra comfy bed. The breakfast was fantastic and loads of choice. The spa wasnt overly busy which was great and my daughter and I enjoyed a really relaxing facial. I would highly recommend this hotel and would definitely return. 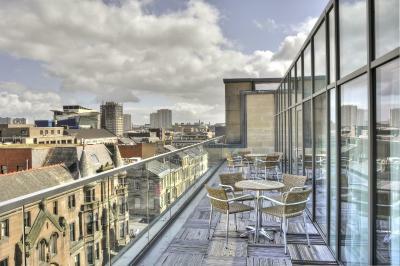 One of our top picks in Glasgow.Blythswood Square is in Glasgow city centre, a short walk from Sauchiehall Street. It has been restored to offer luxury rooms with free Wi-Fi and beautiful architecture. 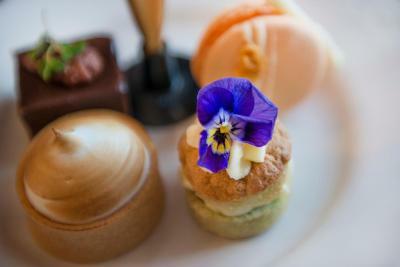 The restaurant and bar are relaxed and elegant and housed in the former ballroom. 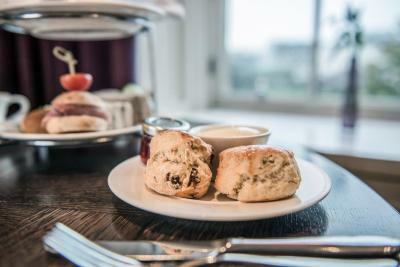 You can enjoy afternoon tea in The Salon with its good views and stylish atmosphere. Each bedroom has bathrobes, a digital TV, mp3 system and a marble bathroom. 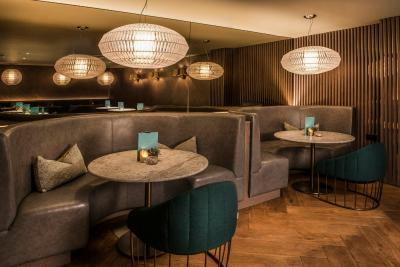 Blythswood's on-site spa offers luxury treatment rooms, 2 relaxation pools, a rasul mud chamber, a relaxing lounge, a café, and more. 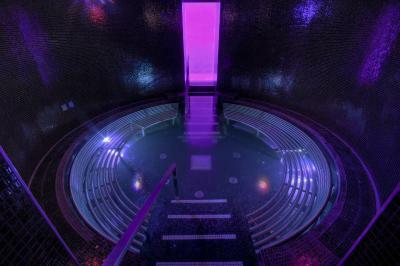 Free use of the spa is available between 07.00 and 09.00, and from 18.00 and 21.00. Outside of these times, a charge of GBP 30 per person, per stay will apply. 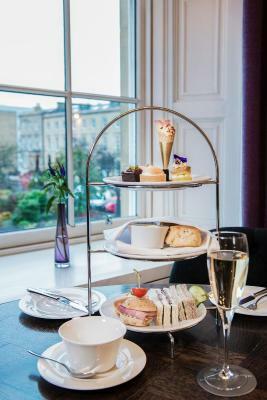 Blythswood Square has been welcoming Booking.com guests since 30 Mar 2010. 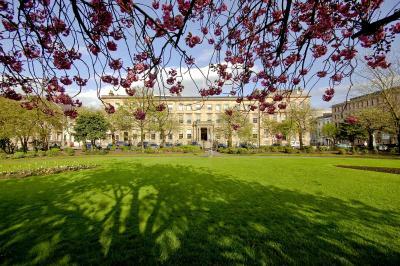 When would you like to stay at Blythswood Square? Standard double bedroom with reclaimed wooden floors and luxurious carpets and furnishings. 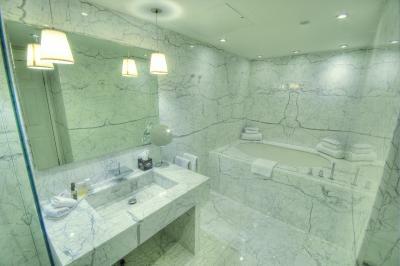 Each room has an Italian marble bathroom with separate bath and shower. All rooms have state of the art in-room technology. 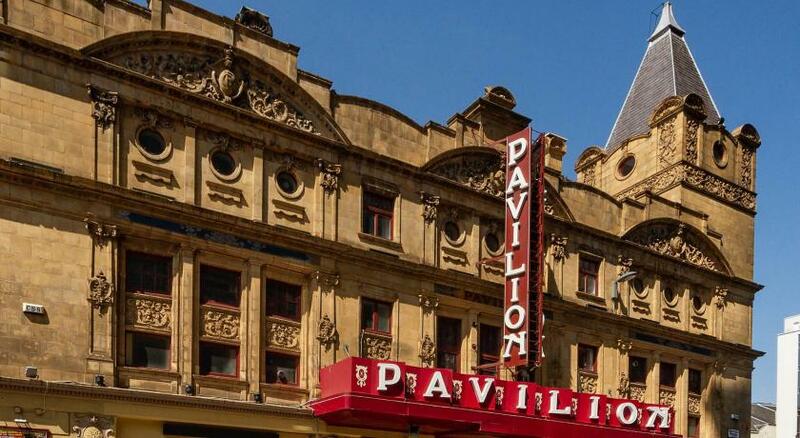 Please note dogs are only allowed in rooms on the ground floor - this is subject to availability at time of booking. As no standard double bedrooms are on the ground floor, dogs are not permitted in this room type. Private parking is possible at a location nearby (reservation is needed) and costs GBP 27.50 per day. Spacious king-size bed configuration with reclaimed wooden floors and luxurious carpets and furnishings. 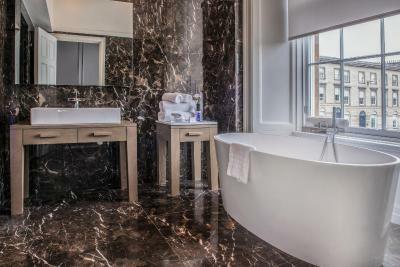 Each room has an Italian marble bathroom with separate bath and shower. All rooms have state of the art in-room technology. Spacious twin bed configuration with reclaimed wooden floors and luxurious carpets and furnishings. 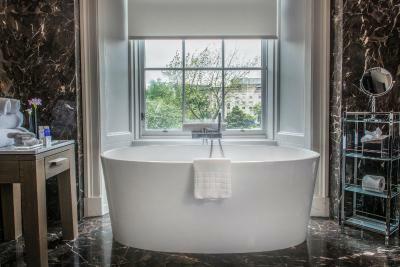 Each room has an Italian marble bathroom with separate bath and shower. All rooms have state of the art in-room technology. These rooms comes with a minimum of 40 square metres, double bed configuration with reclaimed wooden floors and luxurious carpets and furnishings. 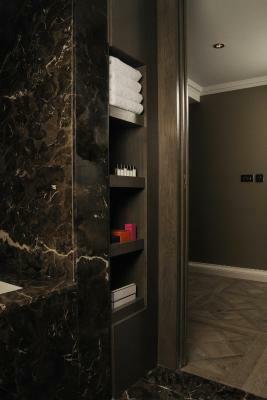 Each room has an Italian marble bathroom with separate bath or shower. All rooms have state of the art in-room technology. Please note that up to 2 children (under the age of 16) can be accommodated at an additional fee of GBP 30 per child by prior arrangement. Standard twin bedroom with reclaimed wooden floors and luxurious carpets and furnishings. Each room has an Italian marble bathroom with separate bath and shower. All rooms have state of the art in-room technology. Please note dogs are only allowed in rooms on the ground floor - this is subject to availability at time of booking. As no standard twin bedrooms are on the ground floor, dogs are not permitted in this room type. Spacious one-bedroom suite with adjoining lounge area with reclaimed wooden floors and luxurious carpets and furnishings. Each room has an Italian marble bathroom with separate bath and shower. All rooms have state of the art in-room technology. 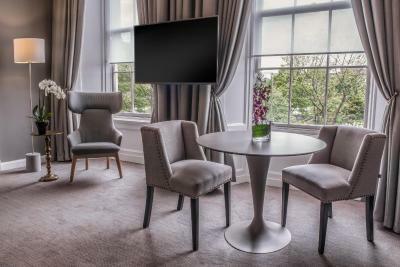 With views over Blythswood Square, the executive suite comes with 1 king-size bed, en-suite bathroom and spacious living and dining areas. Free WiFi, a satellite TV, bathrobes, slippers, minibar and tea/coffee making facilities are also provided. House rules Blythswood Square takes special requests - add in the next step! Blythswood Square accepts these cards and reserves the right to temporarily hold an amount prior to arrival. Free access to the spa is available from 07.00 to 09.00 and from 18.00 to 21.00 daily. 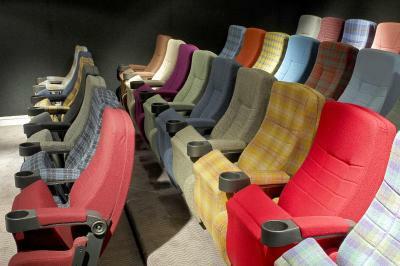 Outside of these times, a charge of GBP 30 per person, per day is payable. 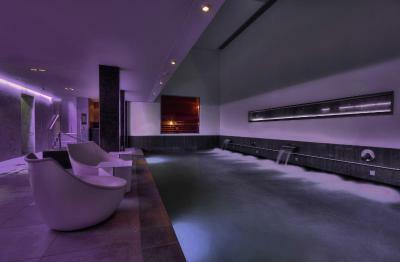 Please note that the spa facilities at the Blythswood Square can only be accessed by guests over 16 years of age. Please note that pets can only be accommodated in the Deluxe rooms with prior arrangement with the property. The credit/debit card used at the time of the booking needs to be presented upon check-in. 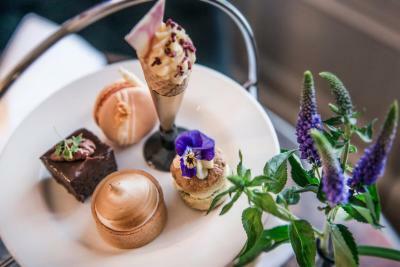 Please note, The Blythswood Square Hotel is currently under refurbishment of its existing guest rooms and suites as well as building new rooms and a penthouse suite. There are also upgrades to the spa reception area and lounge area scheduled too. We were not allowed to use the swimming pool apart from 7-9 am and 6-9 pm. People using the spa could use it all the time but paying hotel guests could not! We were not even allowed to see the pool! Staff was fantastic, check in, concierge, door staff - all well trained, knowledgeable and went out of their way for every question to be helpful. Wonderful staff!